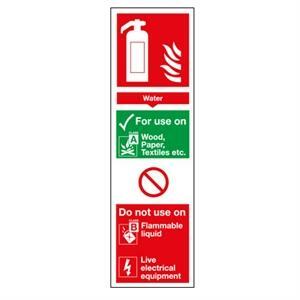 This Fire Equipment sign informs the user of the best way to operate a water based fire extinguisher. Manufactured in 1.2mm thick polypropylene or self-adhesive vinyl. Measures 280mm x 90mm.